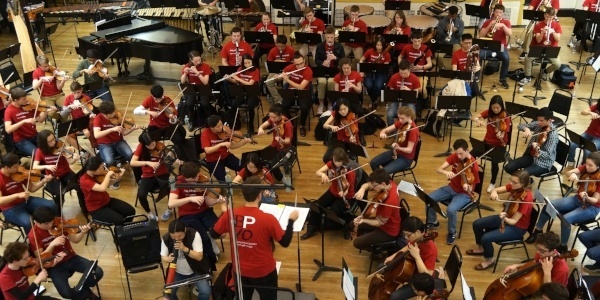 The Boston Philharmonic's Young Composers Initiative brings together the next generation of classical composers in a reading and recording session with our extraordinary youth orchestra. The Young Composers Initiative (YCI) consists of a reading & recording session of music by four composers selected from New England Conservatory, Boston Conservatory at Berklee, Harvard University, and Berklee College of Music. The composers will introduce their works to the orchestra and have the work rehearsed and recorded by the superb musicians of the BPYO, conducted by Kristo Kondakçi. Local composers and faculty will be present to serve as an advisory panel during the session, and both students and faculty will gather following the session for a round-table discussion about the selected works.